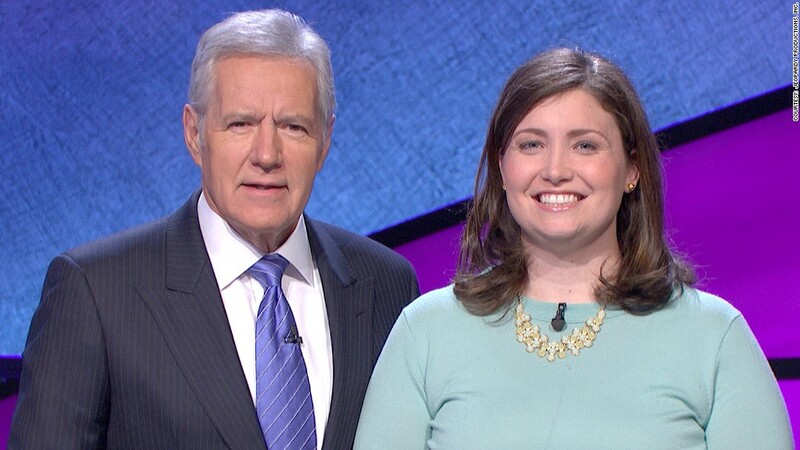 Julia Collins, the top female Jeopardy champ of all time, poses with show host Alex Trebek. Julia Collins almost missed her chance to be on the popular game show "Jeopardy." She was lugging a Christmas tree inside her Chicago home when the show producers called. Fortunately, it more than worked out for Collins. She won her 10th Jeopardy game in a row on Friday, giving her the longest winning streak ever by a woman on the show. Jeopardy is now running two weeks of the "Battle of the Decades" tournament, so her many fans await her return on May 19 to see if she can add to her $220,610 in prize money. That accomplishment alone puts her in an elite group of trivia masters. She is only the fourth person to win 10 or more games, according to a show spokeswoman. "I just wanted to win one game. 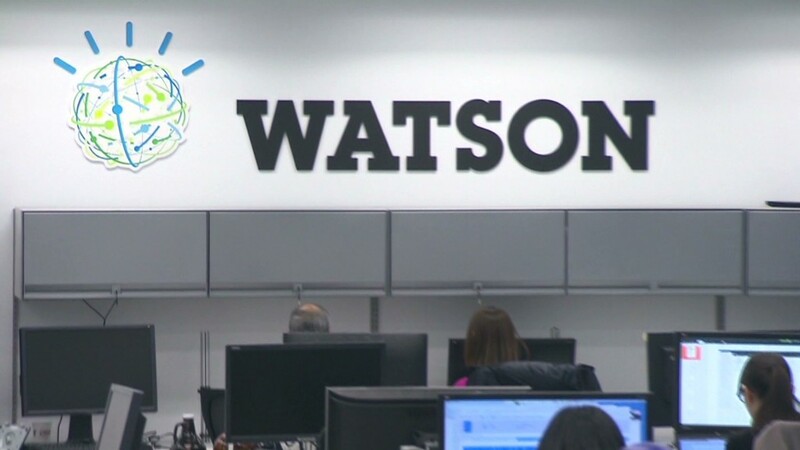 I wasn't really thinking about [the record for women]," Collins told CNNMoney. She had actually tried to get on the show years ago, but believes she didn't make the cut because she was too nervous. "I had watched other women be really great players, and I played against women who were strong players, so I was surprised how few women become Jeopardy champions and have long runs," the 31-year-old supply chain management expert says. Jeopardy games are typically filmed weeks, if not months, in advance, so Collins had to keep quiet about her champ status for awhile, but she's been making it up for it lately. Collins started the Twitter feed @JeopardyJulia to share insights on her episodes. She already has over 1,500 followers. "My biggest #DailyDouble wager yet... then I blew it. Sometimes I just like pushing the buzzer, I think. It's addictive," she tweeted on April 30, the night she beat the female Jeopardy champ record. "I have the same experience everyone watching the show at home has: You're shouting the answer at the TV and thinking it's ridiculous a contestant doesn't know," she admits. She hopes her tweets help people understand what goes on behind the scenes. The last Jeopardy phenom was Arthur Chu, who won 11 games and $297,200 earlier this year. His controversial "game theory" tactics where he bounced all over the board and made very specific wagers polarized viewers. Collins says she examined the tactics of other winners, but decided to stick with her own style. "By the time I really heard about Chu, I had already won five games, so I decided I didn't need to change my approach since it was working just fine," she says. She even met Jeopardy's greatest player of all time once, Ken Jennings, who triumphed in 74 games a decade ago and amassed over $3 million in prize money. So what is she going to do with the money? Her final Jeopardy question is what to do with her windfall. "Have I missed my moment for the bull market?" she jokes. Jeopardy victors don't receive their winnings until four months after their show airs, so Collins won't get a check until at least September -- and it will be less because of taxes. She appreciates having the gap to give her time to reflect and not do anything too rash. "I definitely will save and invest some of it. I'm actually very excited to have this chunk of money to invest with," Collins says. She has been working since graduating from Wellesley College and getting her master's degree at MIT to pay off her student loans. Some travel might also be in her future. For now, it's prize enough to have friends and family referring to her as "champ."